The Young Artists Philharmonic (YAP) is a full symphony orchestra performing advanced orchestral literature. 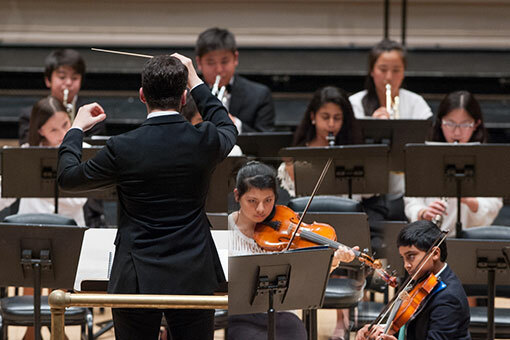 As the flagship ensemble, the Young Artists Philharmonic is recognized for its high level of professionalism and musicianship. Students are expected to be able to play in all keys, have much technical facility and demonstrate mature musicianship. Violinists should be able to play in five to seven positions. Violists should be familiar with treble clef as well as alto clef. Cellists should know some thumb positions and have familiarity with the tenor clef. Transposition may be necessary for winds. Trombonists will need to be able to play in tenor clef. The objective of the Young People’s Symphony (YPS) is for its members to learn the standard orchestral literature and eventually graduate to YAP. String players should have knowledge of the first five positions. They should be able to use vibrato, have a sense of phrasing and tone production, and have a familiarity with all the basic rhythms and meters. Wind and brass players must be able to demonstrate endurance and flexibility, as well as good tone production, as there is an emphasis on solo passage work. 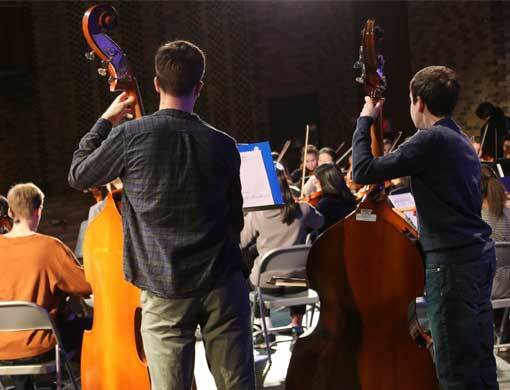 The Young String Ensemble (YSE) provides an introduction to the principles of ensemble and string technique that are crucial to beginning musicians. A minimum amount of position work is required. Knowledge of rhythms should include dotted halves, dotted quarters and dotted eighths. Students should be familiar with the following meters as well: 2/2, 4/4, 3/4, 2/4, and 6/8 time. Under the direction of Sharon Levin, the YAP Flute Choir performs both original and arranged music for multiple flutes, showcasing the range and depth of tone that the instrument is capable of. 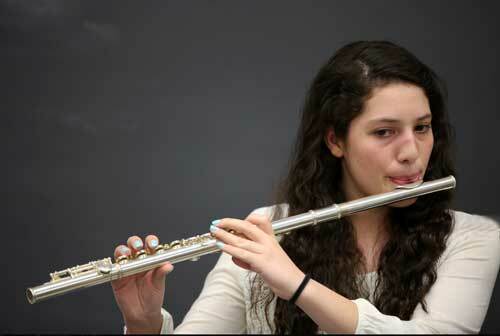 It’s an opportunity for students to expand their techniques, while improving ensemble skills as well. YAP’s Instrument Petting Zoo program is a key feature of its community outreach. 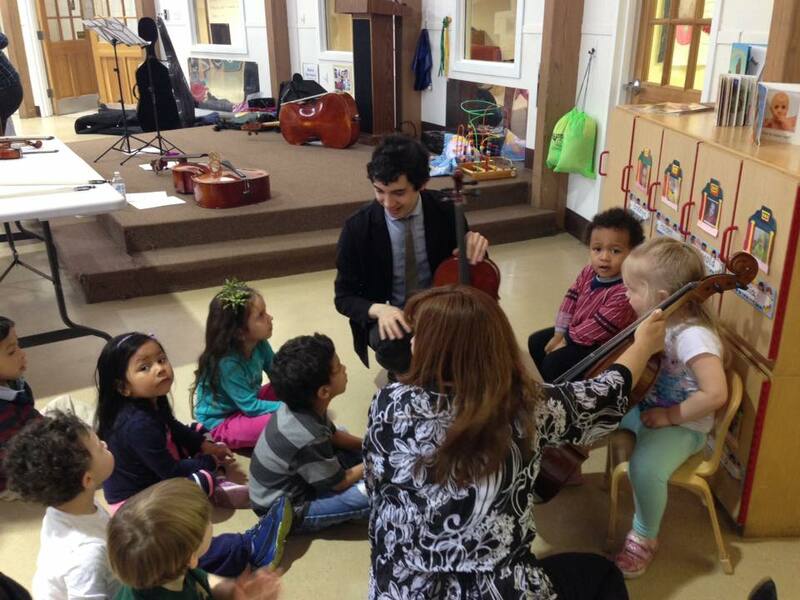 These seminars provide children with what is usually their first interaction with a stringed instrument. They get the chance not only to see and hear, but to touch and learn. YAP teaching artists reach over 500 children a year through these Instrument Petting Zoos, at organizations such as the Childcare Learning Centers (CLC), Starfish Connection, and local Fairfield County schools. YAP is honored to partner with the Starfish Connection, a comprehensive program that identifies high potential children from high risk socio-economic groups in the 3rd grade, and provides mentoring, advocacy, educational support, enrichment, and extracurricular activities throughout their elementary, middle and high school years. Offering an Instrument Petting Zoo to students who are ready to select a musical instrument for study, YAP hopes to ignite a spark in each student for the particular instrument of their choosing, and asks advanced YAP students to demonstrate the instruments in a ‘hands-on’ demonstration. 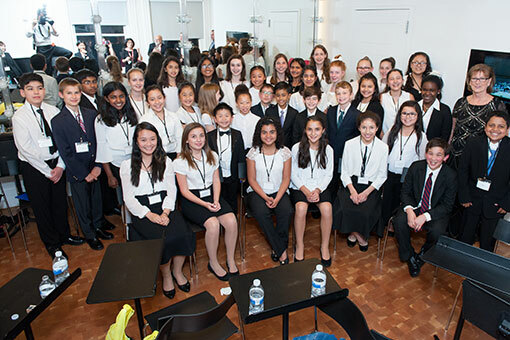 We are committed to helping to improve classical music education in all its forms. To that end, YAP is proud to collaborate with public and private schools in Stamford, Greenwich, Darien, and other cities. Music programs are often the first target in budget cuts, so we help out by making our teaching artists available for “side-by-side” rehearsals, guest performances, and other enrichment seminars.